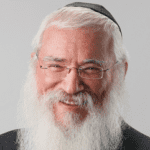 Rabbi Manis Friedman is a world-renowned author, counselor, lecturer and philosopher. Rabbi Friedman uses ancient wisdom and modern wit as he captivates audiences around the country and the world. Over 150,000 copies of his provocative yet entertaining recordings have been sold. Rabbi Friedman’s first book, Doesn’t Anyone Blush Anymore? published by Harper San Francisco in 1990, was widely praised and is currently in its fourth printing. 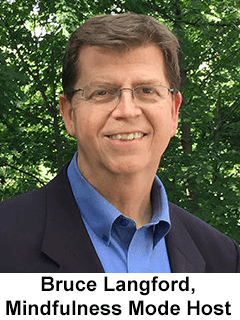 Rabbi Friedman is a noted Biblical scholar, recognized for his sagacious grasp of Jewish mysticism and a professionally ranked member of the National Speakers Association. Rabbi Friedman has recently released a new book titled The Joy of Intimacy. Professor Dr. Hugblokuv, University of Western Ontario, London, Canada. Emotions are a direct outgrowth of your intelligence. The way you think is the way you feel. The way you understand is the way you emote. If you have a very quick mind, you're going to have very high energy emotions. You're going to be quick in your emotional responses just as your mind is quick in the pickup. If you're slow and thorough in your thinking, your emotions will also be a little more sluggish, a little more patient, a little more thorough. If you get a lot of pleasure from learning, from understanding, from using your mind, you will have more pleasure in your emotions. So it's a direct relection of what's going on in the brain. That's why if you want to improve your emotions, don't sit there trying to change your heart, change the input in your brain and you'll get a different output in the heart. I find if you don't breathe it's hard to think. The brain needs oxygen. Book: The Bible, it's a very mindful book. Book: Any book based on tradition is mindful. I think mindfulness is really synonymous with life itself. If you're not mindful, you're not living; you're just existing or surviving. You haven't been hit by a truck so you're still here. But that's not called living. Mindfulness is not an option, it's not like you can live without it or you can live with it. It's synonymous with life. If you want to be alive, start paying attention.We're very enamoured with the quality of our existence. We want to exist well and we forget to live. We have a very comfortable existence compared to our grandparents and to other countries and other places around the world. We do have very comfortable, very nice existence. But the amount of effort we put into it and the amount of concern and anxiety over it just drains us of life. It is the very successful who are most likely to get depressed because; what is it all for. As long as you're still trying to improve your existence, you're kind of distracted. Once your existence is good, it's like, now what. What was it all for? The other problem with focusing on your existence is that two people, both focusing on their existence, cannot get along. It's just not possible. They certainly can't bond. Because when you're focusing on your existence, it takes you into yourself and away from others. You become introverted in some way. In order to connect to another person, the only part of you that is flexible enough to thrive on the presence of another person, is if you're both focused on living because life is flexible. Existence is rigid. It's got too many rules. You've got to have this house, that car, it's just too rigid and it carries over into your personality. Even success as a person is too materialistic. Too much of that existing. For example, people will be surprised and shocked to hear this. If you're determined to be a good husband, you're going to have an unhappy wife. If you're determined to be a good mother, you're going to have an unhappy child, because if you're trying to be good at something, you're too busy with yourself.